LAS VEGAS, CES 2012 – There are some really awesome products on the showroom floor of CES this year, but we think we’ve found the greatest Microsoft product of all time. OF ALL TIME! 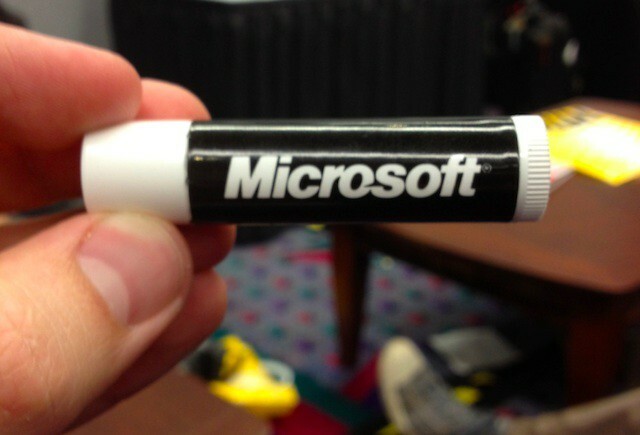 Microsoft lipbalm. Admit it. You’re jealous that you don’t have your own stick yet aren’t you? To make up for your absence at CES, we’re going to have a caption contest, and the winner gets a bag of CES swag that we got from the floor today. To enter the contest, just comment on this article with your caption for the Microsoft Chapstick picture. Funniest caption wins and we’ll announce the winner on Friday, Jan. 13th at 12pm PST. Good luck. My colleagues here at Cult of Mac, PR reps completely unrelated to Fuji or anything photographic, random showgoers whose snippets of conversation I intercepted — everyone seemed to be talking about it. 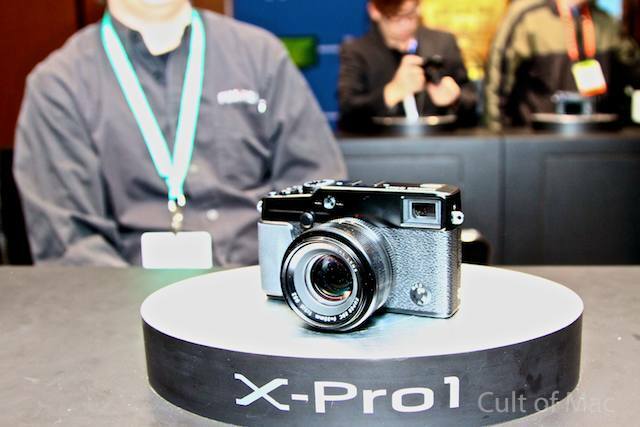 Even the very air at CES seemed to be pulsating with the word “Fuji.” Of course, they were all talking about the enigmatic, neo-retro Fuji X-Pro1. 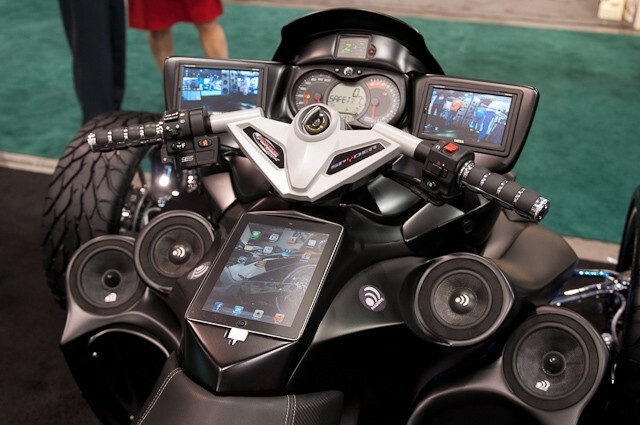 LAS VEGAS, CES 2012 — How did professional auto-modder Mark Abate build this custom iPad-integrated Bat-trike? He started with a stock 2010 Can-Am Spyder trike, then worked a whole lot of Gotham-inspired magic on it, that’s how. Full gallery ahead! LAS VEGAS, CES 2012 – As a kid who grew up in the ’80s, I feel robbed by the tech industry. Robbed, spit upon, and laughed at by a bunch of bald guys in suits who have deprived the ghost of my youth by failing to give me the technology they flaunted when I was a kid. I was promised holograms, damn it, so where the hell are they? 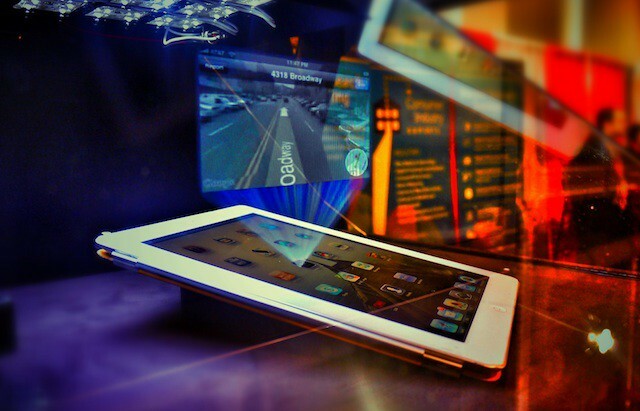 Compared to holograms, touchscreens just seem like caveman technology. Wading through the heaping mess of CES rubbish, I got lost in a time vortex. When I popped out the other side, I stumbled upon this little beauty. Behold! The holographic iPad! 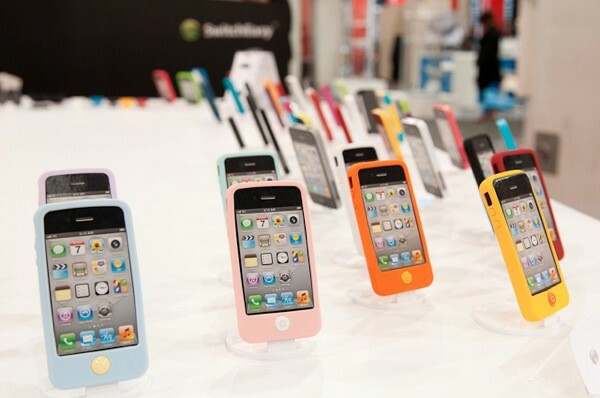 LAS VEGAS, CES 2012 – If imitation is the sincerest form of flattery, Apple must be feeling very flattered. Also ripped off. Many of the new Ultrabooks here on display at the Consumer Electronics Show are so similar to the MacBook Air, they can only be described as knockoffs. Not only do the they rip off the basic design premise — lightweight, portable laptops with long battery life — they copy the same wedge aluminum casing, wedge shape, chiclet keyboard, large, button-less trackpad, and the selection and placement of ports. See for yourself. 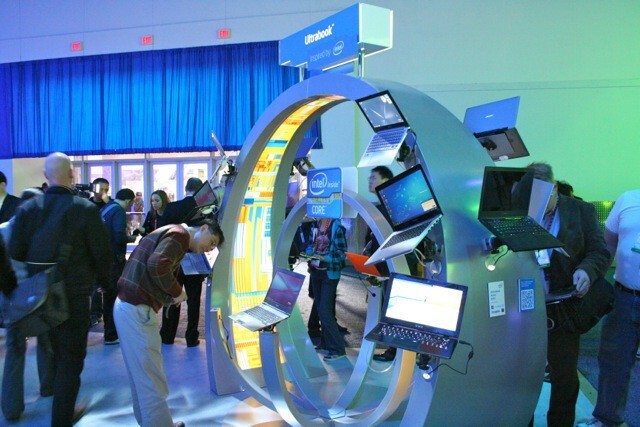 Here are just a few of the MacBook Air knockoffs on display at Intel’s massive booth. 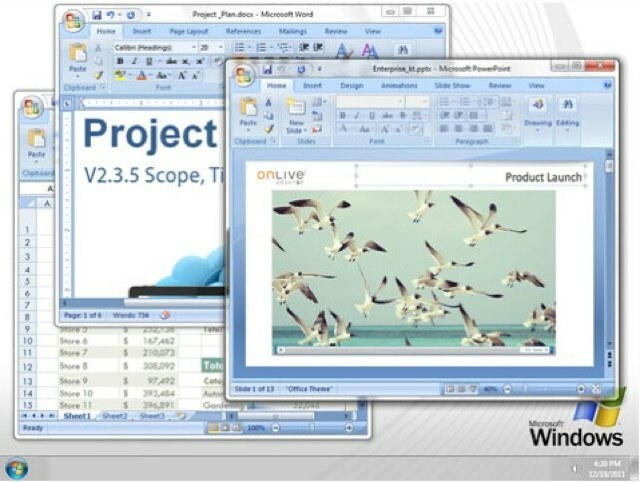 OnLive made headlines earlier this week when the company announced a new iPad app at CES which brings Windows 7 to the iPad, allowing you to run Microsoft Office applications like Word, Excel, and PowerPoint. Those of you who are interested in the app and you live in the U.S., you can grab it now, for free, from the App Store. LAS VEGAS, CES 2012 – The forthcoming iPad 3 will be thinner than the iPad 2, Cult of Mac has exclusively learned at the Consumer Electronics Show from a well-placed source. 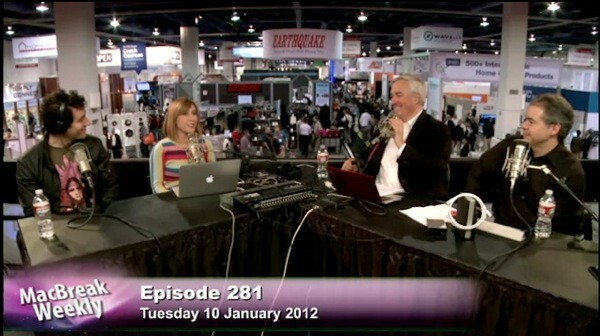 LAS VEGAS, CES 2012 — Our very British Editor Leander and I were invited to sit in with Leo Laporte, Sarah Lane, and Alex Lindsay for Tuesday’s live episode of Macbreak Weekly. We had a hoot ‘n hollerin’ good time playing with new gadgets from the show floor, talking about this year’s trends in tech, and pondering how Microsoft just might be becoming the next Apple. The full video is almost 80 minutes long, so feel free to skip around to all the good parts where it’s just me talking. LAS VEGAS, CES 2012 – When Steve Jobs unveiled the sixth generation iPod nano in September of 2010, he coyly said, “You can even wear it as a watch!” Overnight, the “iWatch” was coined and a whole new industry was born, as accessory makers flocked to deliver iPod nano watchbands. Over the last year, Apple’s added a variety of new graphical watchfaces to the iPod nano, further emphasizing the nano’s suitability as a watch replacement. But that’s not nearly enough. The iPod nano’s inherent iWatchiness is a quality that Apple is still seriously under-exploiting. Want to know how good a real iWatch could be? 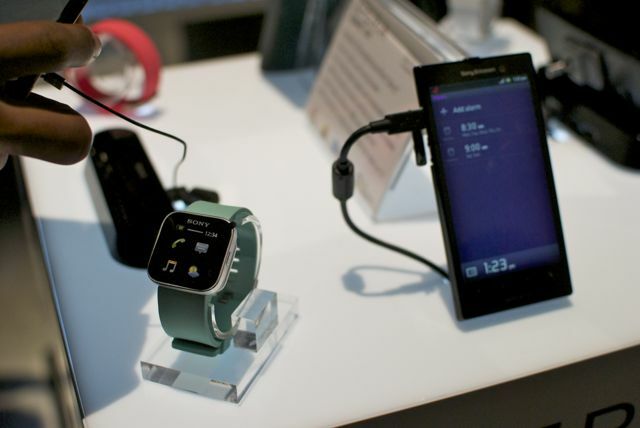 Look no further than Sony’s SmartWatch, on display this week at CES. LAS VEGAS, CES 2012 — Four times bigger than last year, and now filling about half the massive north hall of the Las Vegas Convention Center, the iLounge is home to an enormous plethora of iDevice accessories. I weaved and wandered through lanes of the iLounge pondering the products I was seeing, and out of all of what I found filling the massive space, these were the trends that stood out.